The AVSC Scouts made a video of peace from Scouts all over the world. Check it out at Ciao Padua - Welcome the Light of the Peace! 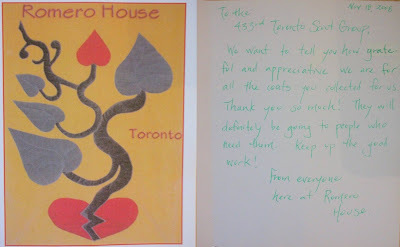 The folks at Romero House sent us a nice thank you for the coats we sent!